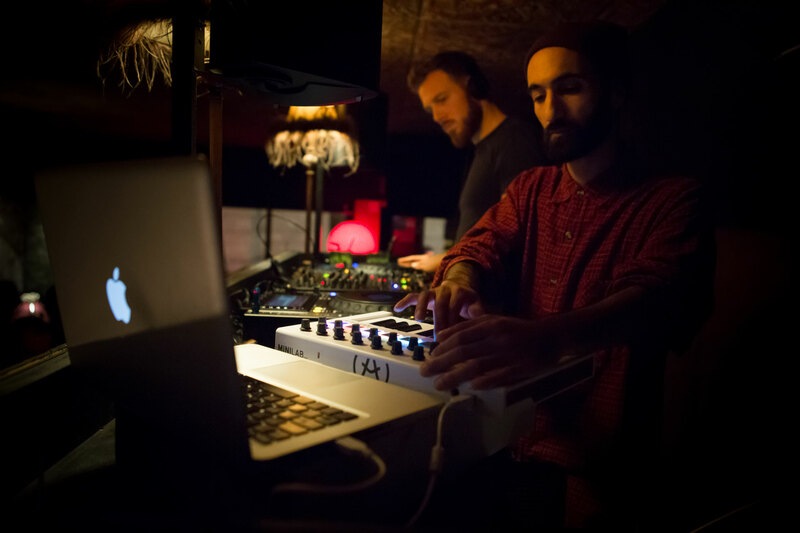 MiniLab MkII is an essential tool for musicians on the move and studios where workspace is at a premium. 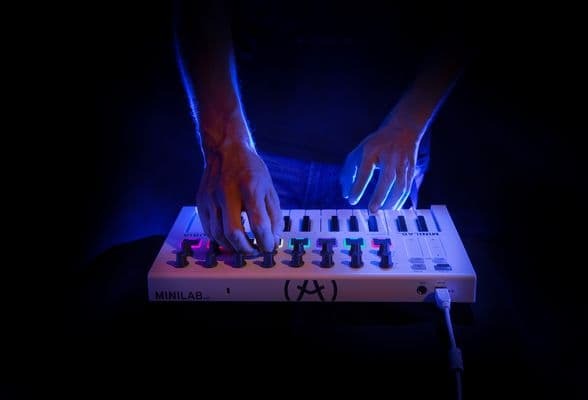 Thanks to the constructive feedback from Arturia’s family of product owners - people just like you - we have refined the original MiniLab into something new and exciting. 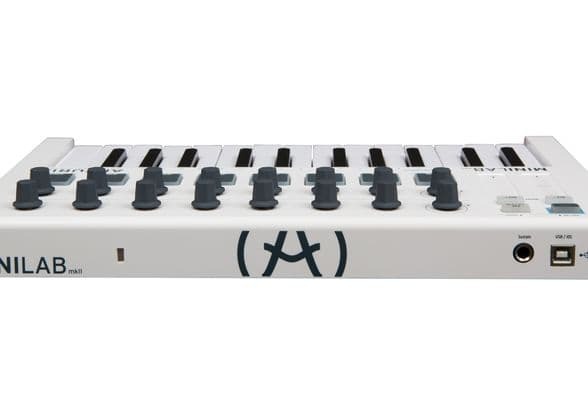 Created with the mobile musician in mind, MiniLab MkII has a slim, compact profile which makes it perfect for transporting to and from gigs, and for keeping you creating when you’re travelling. With its rugged, durable construction, the revitalized MiniLab can take the strain of life on the road, ready to perform night after night. Not everyone has the luxury of a spacious studio, and this is where our reinvented controller really shines. MiniLab MkII has a tiny footprint allowing you to place it virtually anywhere within your set-up, even if the only space available is on your lap. Portable, yet fully featured. Lightweight but rugged. 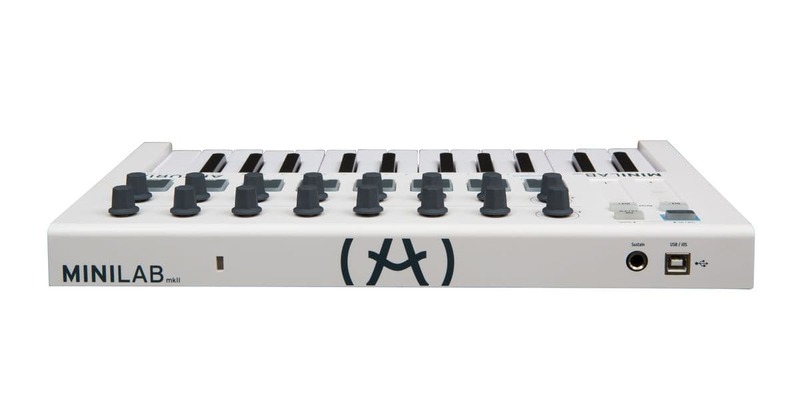 MiniLab MkII is the new go-to small controller for producers in the know. Time is precious. and you need simple, effective control. 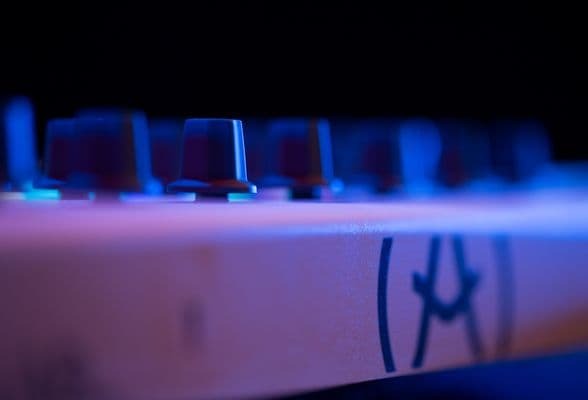 MiniLab MkII gives you unadulterated access to your software sounds. 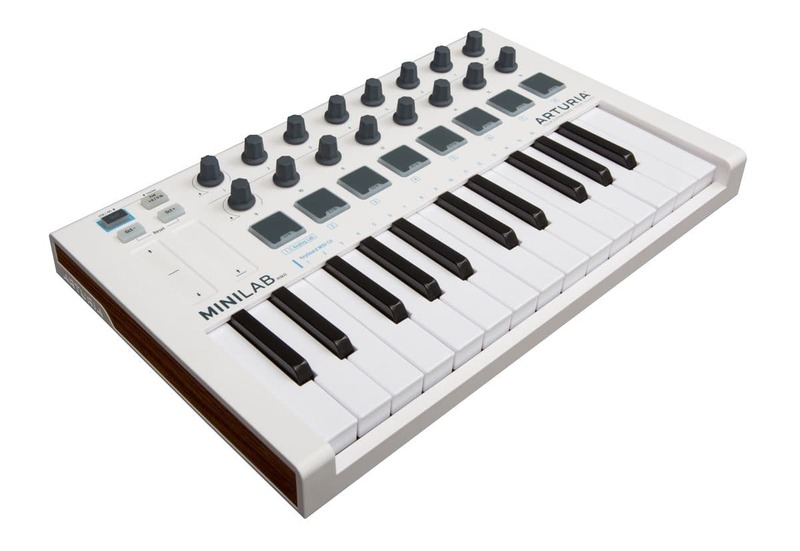 Helping you make the most of your virtual instruments and recording software, MiniLab MkII features a great-feeling keybed with 25 slim-keys, 16 knobs, 8 pads, and touch controls in a space-saving package. 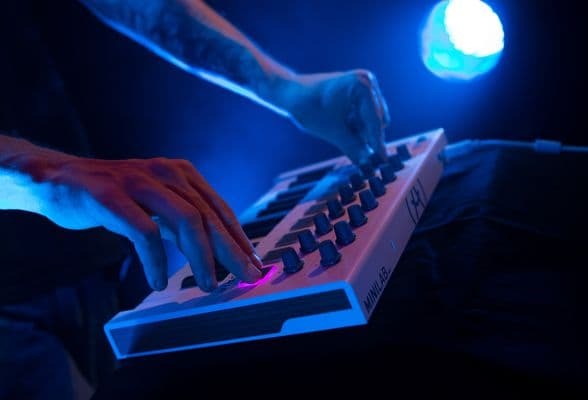 Whether you want to experiment with a bass line, tap out a solid drum beat, or tweak the parameters of your favorite synth patch, our new controller gives you the freedom to totally control your music any way you like. 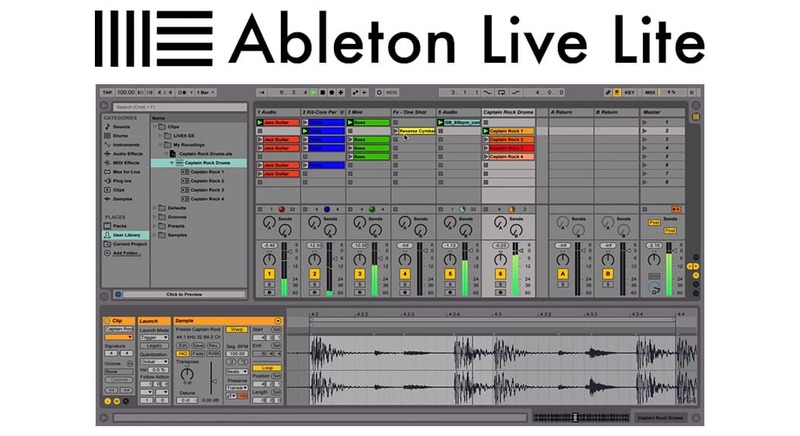 To help transform your musical ideas into fully-fledged, pro-sounding recordings, MiniLab MkII includes a powerful music production platform, Ableton Live Lite. 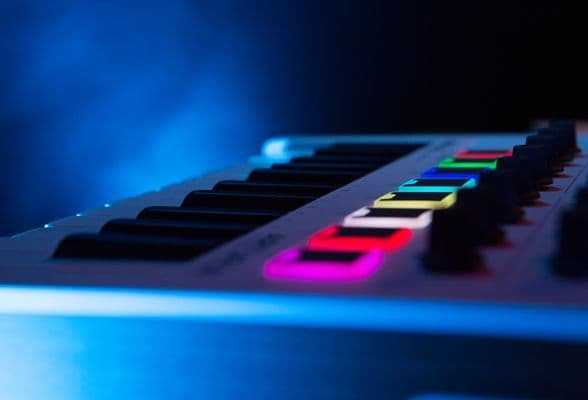 Every single one of MiniLab’s controls is automatically assigned thanks to dedicated pre-mapping, letting you spend less time in the settings menu and more time making music. Adjust your track levels, tweak filters and effects using the knobs; launch clips, capture drum performance, or control playback with the pads. 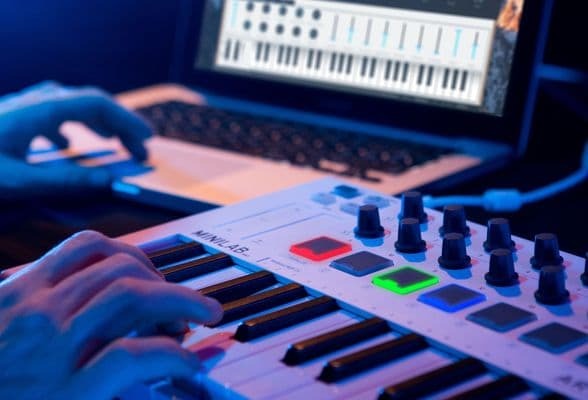 MiniLab is here to make your musical life easier. From inception to completion, MiniLab MkII keeps you in control every step of the way. What good is a controller with nothing to control? 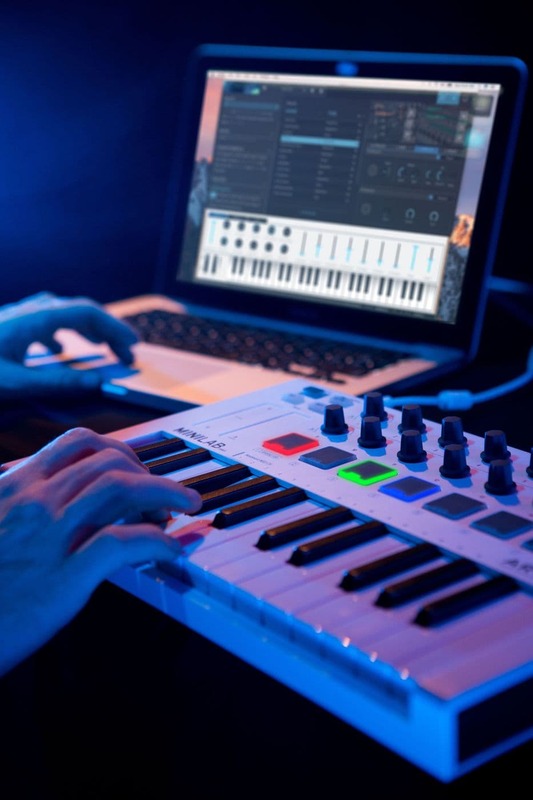 MiniLab MkII comes loaded with some of the best software around. 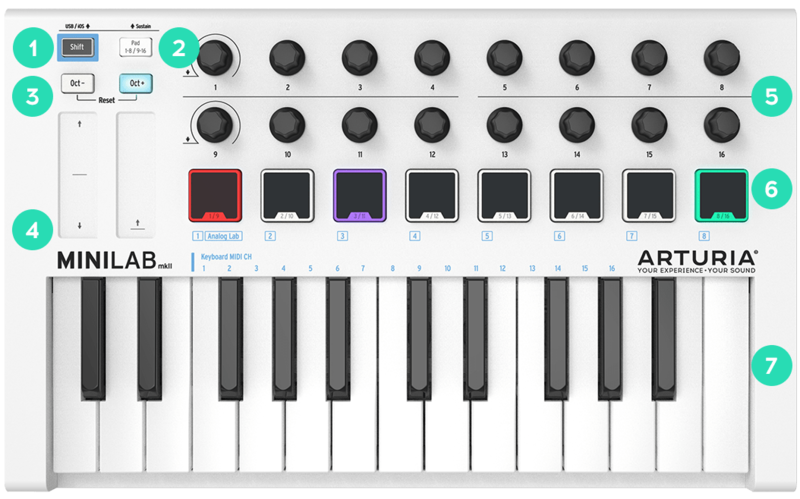 Our new MiniLab is a pure controller which - while containing no onboard sounds - lets you play, tweak, and manipulate software instruments via MIDI. 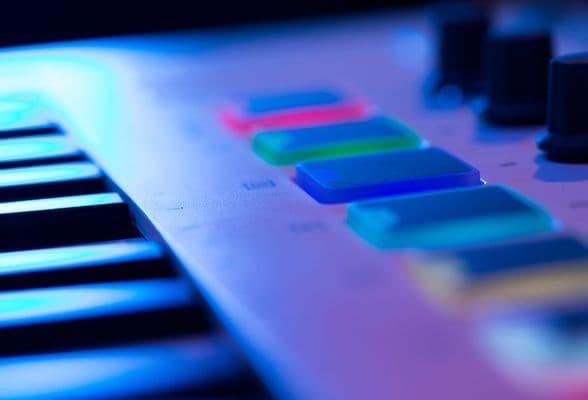 To get your virtual recording studio up and running, we have included a wealth of professional quality instruments and production software to take your music to exciting new places. 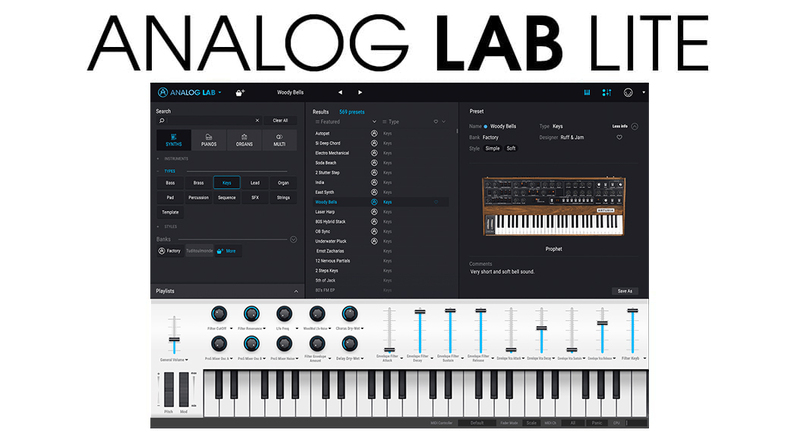 Analog Lab Lite gives you access to hundreds of the best sounds from our award-winning V Collection, and gives an amazing introduction to our whole software instrument catalog. 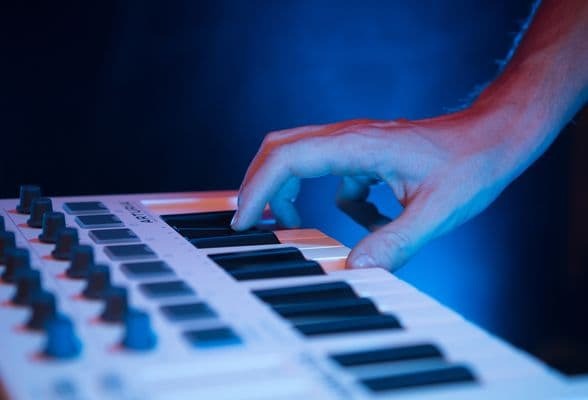 Featuring 17 iconic instruments, including analog synths, revolutionary digital workstations, organs, string machines and pianos, all pristinely recreated using Arturia’s exclusive True Analog Emulation® technology. Steinway pianos are found in only the very best concert halls and recording studios. Thanks to MiniLab, you can have one in your living room. 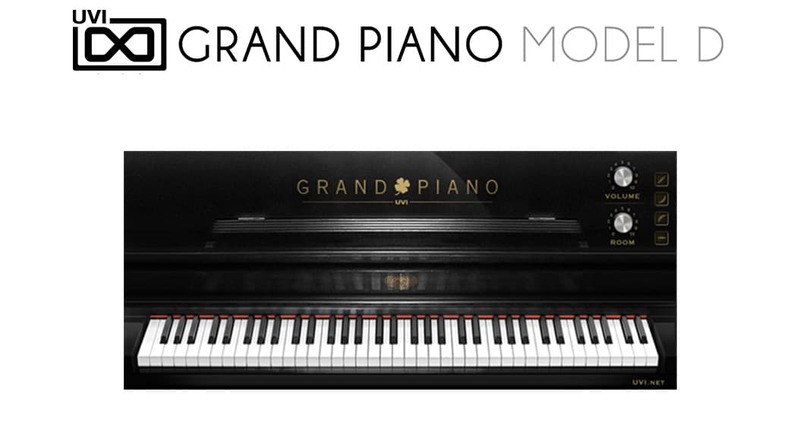 The UVI Grand Piano Model D puts the sound of the famous Steinway Model D grand piano at your fingertips, sampled in exquisite detail, and ready to play. 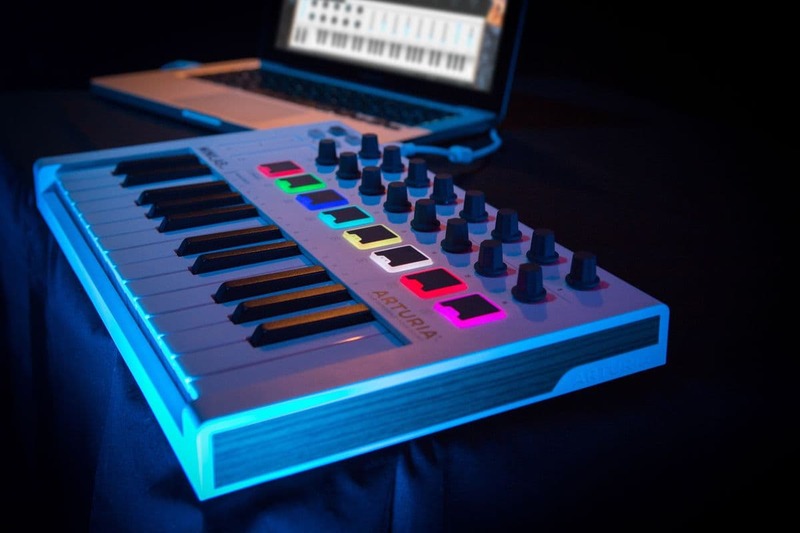 MiniLab MkII gives you everything you need so you can start creating music right out of the box. Select MIDI presets and MIDI channels with this button. Switch between two banks of eight pads. Octave transpose buttons allow you to shift the keyboard up and down. Assign these knobs to your favorite plug-in or DAW. Two of those encoders are clickable. 8 ultra responsive velocity and pressure sensitive pads. 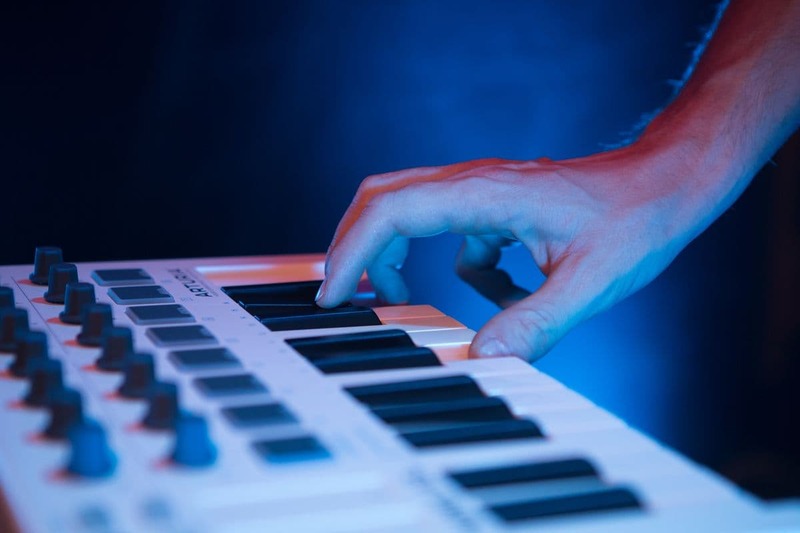 Highly playable, compact format keyboard. Sends MIDI Note & CC data. Can be programmed for Gate or Toggle operation. Full-sized Type-B USB jack: Bus-powered, class-compliant. No drivers needed. 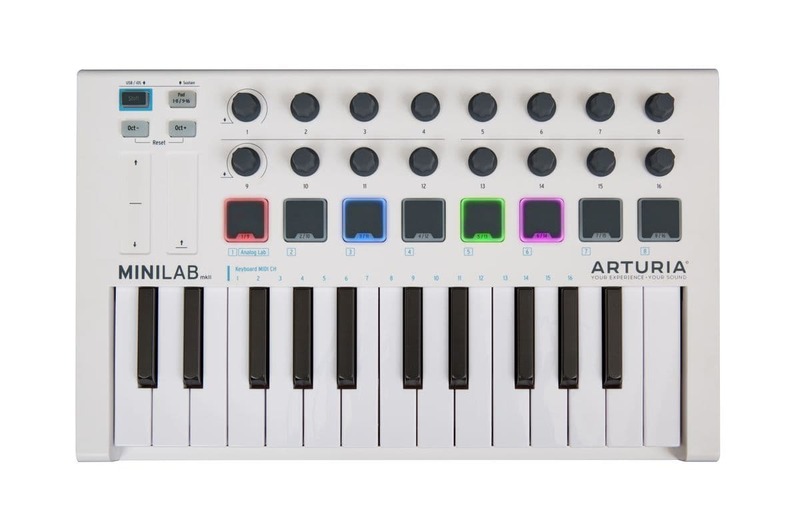 I have found the MiniLab and this was the beginning of a whole new journey for me in the world of Arturia. I was so impressed by the ease I was working with. 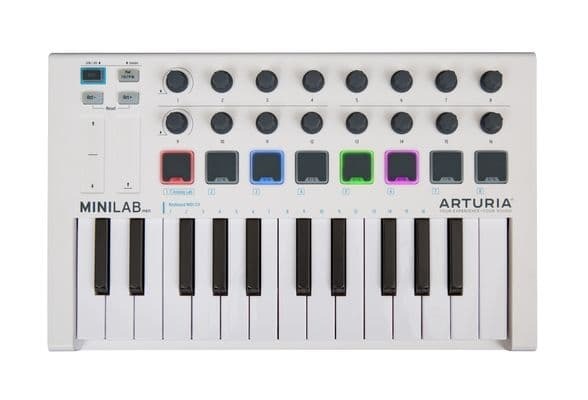 The MiniLab it still to date my main MIDI controller.